Balance ratios are key to understanding the plethora of AI hardware solutions that are being developed or are soon to become available. This post from an insideHPC Special Report explores AI hardware options to support the growing artificial intelligence software ecosystem. A cumulative effort over several years to scale the training of deep-learning neural networks has resulted in the first demonstration of petascale deep-learning training performance, and further to deliver this performance when solving real science problems. The result reflects the combined efforts of NERSC (National Energy Research Scientific Computing Center), Stanford and Intel to solve real world use cases rather than simply report on performance benchmarks. Optalysys, a start-up pioneering the development of light-speed optical coprocessors, today announced the company raised 3.95 million U.S. dollars from angel investors. Optalysys will use the funds to manufacture the first commercially available high-performance computing processor based on its patented optical processing technology. 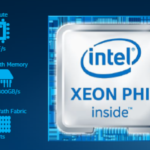 With the release of Intel Parallel Studio XE 2017, the focus is on making applications perform better on Intel architecture-based clusters. Intel MPI Library 2017, a fully integrated component of Intel Parallel Studio XE 2017, implements the high-performance MPI-3.1 specification on multiple fabrics. It enables programmers to quickly deliver the best parallel performance, even if you change or upgrade to new interconnects, without requiring changes to the software or operating environment. Amazon Web Services chief evangelist Jeff Barr announced in a recent blog post that the company was adding Xilinx FPGAs to its Amazon Elastic Compute Cloud (Amazon EC2). The addition of this new hardware will allow users to create accelerated FPGA applications, but AWS will also let users sell these applications on the AWS Marketplace. “We are giving you the ability to design your own logic, simulate and verify it using cloud-based tools, and then get it to market in a matter of days,” said Barr.